Beyond Looking Absolutely Spectacular, Outdoor Lighting Offers Several Benefits. If you are contemplating the implementation of professional outdoor lighting, you should take into consideration the wide array of lighting benefits you will enjoy. From security to aesthetics and more, having professional lighting installed for your home or business can enhance your property greatly. Learn more here about the benefits of outdoor lighting in Fort Worth and Dallas, TX, and anywhere in the DFW. 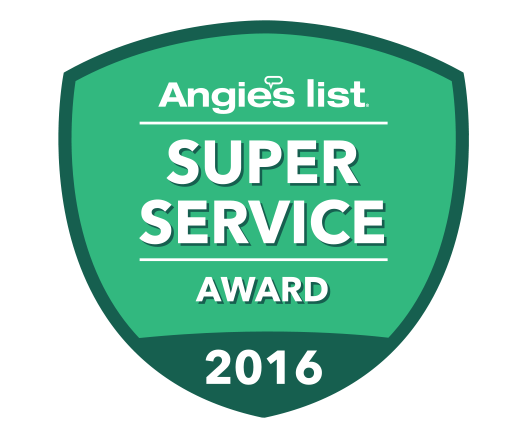 Or simply give us a call at (817) 345-3696. When you implement outdoor lighting into your home’s design, you immediately will increase the beauty of your property. Our expert landscape lighting team will help you design the best lighting system for your home’s style. This lighting will highlight textures and create an ambiance that is stunning and resort-like. We can discuss what components of your home to highlight, such as specialty architectural features or brick or stone you want to stand out. Our goal is to increase the curb-appeal of your property through outstanding landscape lighting. There are many backyard or patio spaces that go unused the majority of the time because when night falls, they are rendered useless. With proper outdoor lighting, we can create a usable space again! Outdoor kitchens, pools, patios and more can all become a wonderful place to entertain or unwind in the evening. Our beautiful landscape lighting will allow you to turn off the harsh lights and enjoy the beauty of low-voltage lighting. When your property is poorly lit or not lit at all, you can easily trip over steps, vegetation, toys and more. Although you may know your property fairly well, your guests may not. By lighting your pathways, you can avoid this safety hazard. Lighting also brings an increase in security. A well-lit landscape will deter potential intruders. They will no longer have dark corners to hide in or shadows to use to conceal themselves on your property. With our lighting features, you and your neighbors will easily detect any potential intruder. When you invest in landscape lighting you are investing in the value of your property. Not only does outdoor lighting create a personally pleasing effect, it also creates a marvelous first impression for future potential buyers. Installing landscape lighting provides an excellent return on investment. We will help you customize your lighting to fit your precise design vision. Talk to us about scheduling a free nighttime demonstration of landscape lighting so you can learn more about the process. 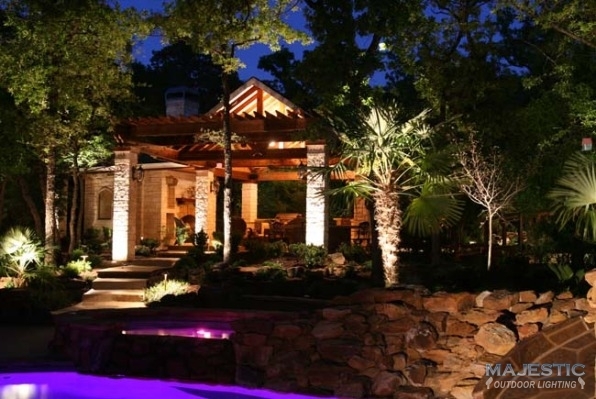 So whether you are looking to light up your outdoor kitchen, patio, water feature, entryway, pool, or your entire property, give the professionals at Majestic Outdoor Lighting a call and schedule your FREE night demonstration at (817) 345-3696. Contact us now to learn even more about the benefits of outdoor lighting in Fort Worth and Dallas, TX. Updated on September 12, 2018 at 9:13 pm by Majestic Outdoor Lighting.